The Centre for Art and Humanities was opened for student use in September 2012. 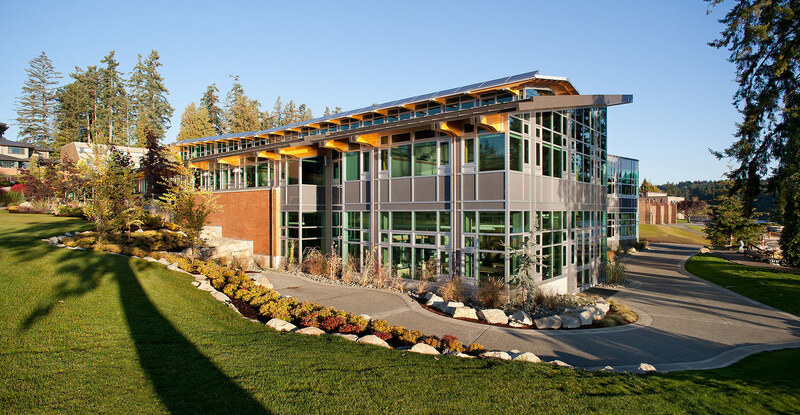 The completion of this building is the final phase in our strategic ten-year campus development plan. 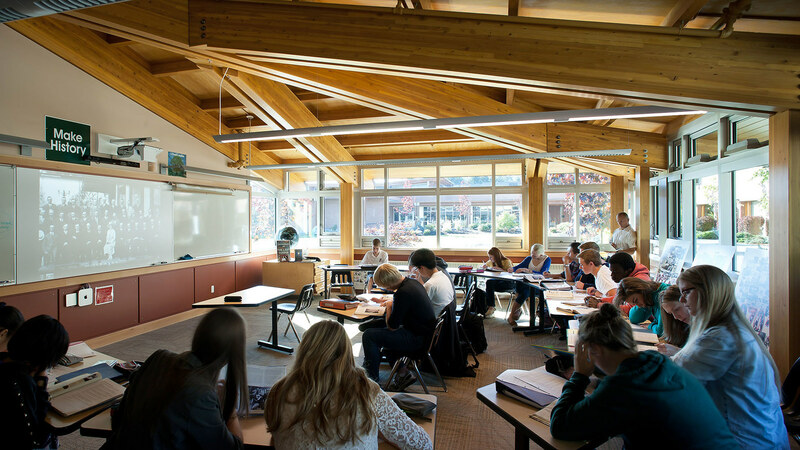 This new building includes eight humanities classrooms located within a visual arts facility: a multi-disciplinary concept that is rooted in our educational philosophy. By intent, each student interacts with the working spaces and galleries of our visual artists while attending courses in Languages, History, Geography, Environmental Studies, Comparative Government, and Art History. 16,000 sq. 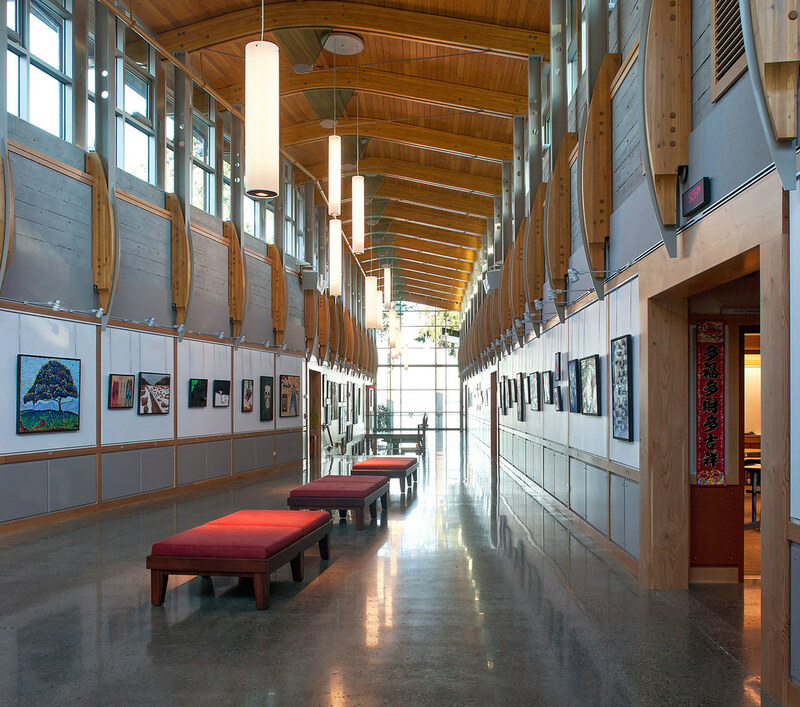 ft. of visual art studios built specifically for the needs of the drawing, painting, pottery, sculpture, photography, and videography programs that have been developed since 1961 on the Mill Bay campus. Two digital media studios for graphic design, CAD, digital film, photo, and multi-media courses. A spectacular 25’ high entrance gallery leading to a corridor with asymmetric walls, giving emphasis to student art work. By design, it is not immediately apparent from the entrance gallery that this exciting learning experience is anything other than a visual arts centre. A number of sustainability measures integrated into the building design to support our mandate of green facilities management. Recovered storm-water is used for toilets and irrigation. Wind and solar energy sources supplement the main grid hydro. Oriented for natural ventilation, the passive wind and solar heating and cooling systems are supplemented by a closed ocean geothermal loop.